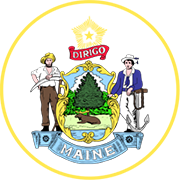 The online search tool of the Secretary of State of Maine enables you to search for business entities registered in the state absolutely free of cost. 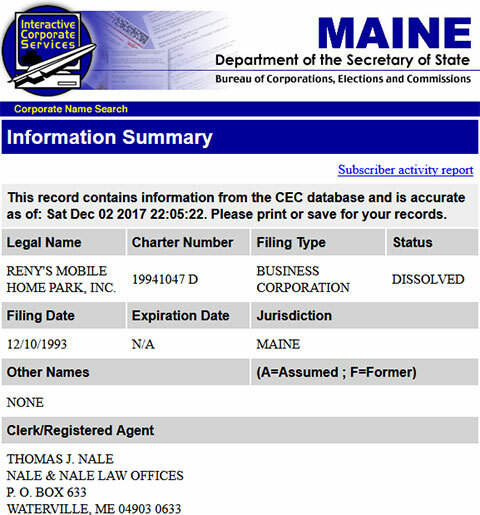 You can access documents and other records of business entities registered with the Maine Secretary of State. 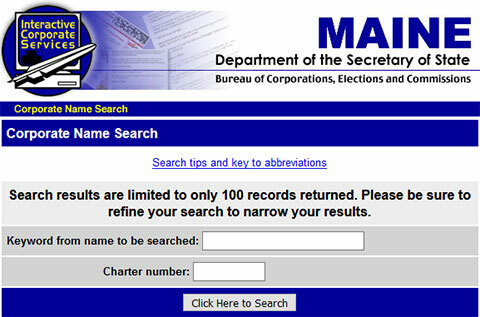 Read the step by step guidelines below on how to use the Maine business search page. 1. The first step is to access the Maine business search page by clicking here. The page that appears will look like the screenshot below. 2. The next step is to perform a search. In this example we will search by business entity name. Go ahead and type in "Renys" in the appropriate field. 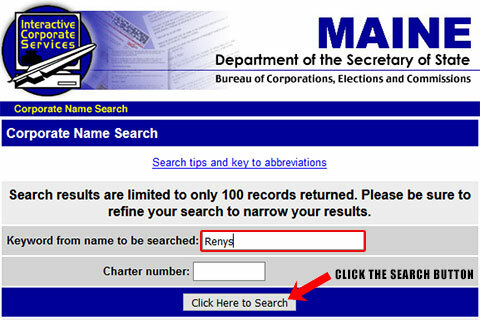 You can also perform your search by charter number (See the screenshot below for reference). 3. Click on "Click Here to Search". 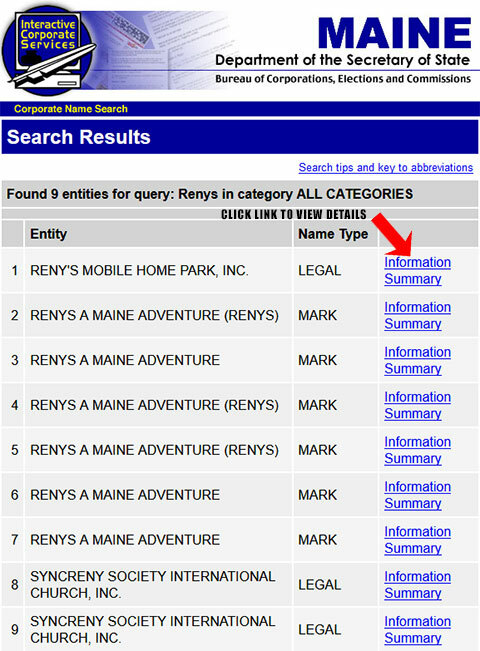 The Results page will show you the name of entities containing the word "Renys" in them. (See the screenshot below for reference). 5. Click on Information Summary beside each business entity to view further details. The page will give you details about the entity's legal name, charter number, filing type, status, filing date, expiration date, jurisdiction, registered agent, etc. The Secretary of State of Maine is elected by the legislature of the state. The current officeholder is Matthew Dunlap, a Democrat who was sworn in January 2013 and had already served the office from January 2005 to 2011. The Secretary of State of Maine is the keeper of the state seal and the guardian of the public records and archives. Apart from these, the Maine is also responsible for heading elections, administering vehicle licenses, and registering businesses in the state.